Jaishree Narsih Imagine attending a school where you had to share one small classroom with more than 60 other students. It seems unbelievable to think about, but this is the reality for many children living in rural Cambodia. Compassionate Eye Foundation, in partnership with Kids International Development Society (K.I.D.S.) 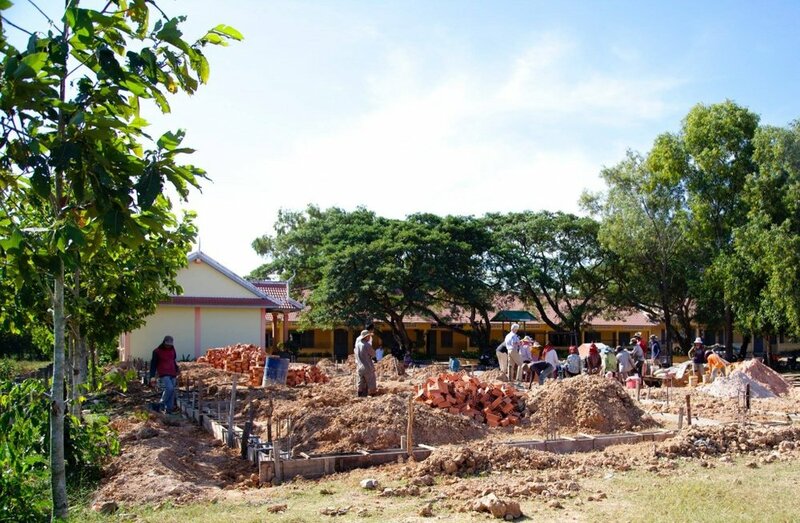 is helping fund the building of four new classrooms at Trakiet Primary School in Cambodia. With four classrooms already in place, the hope is to alleviate the overcrowding that is happening and ensure that all the kids have access to a proper education in an environment that is conducive to learning. This project provides a second benefit because some of the community members can be employed as labourers for the classroom construction. On average, the four classrooms that are currently in place serve about 500 students that come from three different villages; with many students commuting over long distances. Due to overcrowding, some of the kids are taught in a tin building that overheats quite easily and has a dirt floor, which becomes a mud floor when it’s rainy. To compensate for the lack of room, some children are being taught in a nearby monastery, which means that they don’t get access to the lunch program that is funded at the school. Many of these students and their families live on or close to the poverty line. A good education is the only way to break this cycle of poverty and give the kids an opportunity to be able to find good sustainable employment and ensure a brighter future. The four new additional classrooms, along with desks, chairs, blackboards, and tables will vastly improve the learning conditions. With the completion date only four months away, there is a lot of hope and excitement for what these new classrooms can do for the community. A good education can open so many different opportunities for the people in this small rural town. Have Triple the Impact on Giving Tuesday!